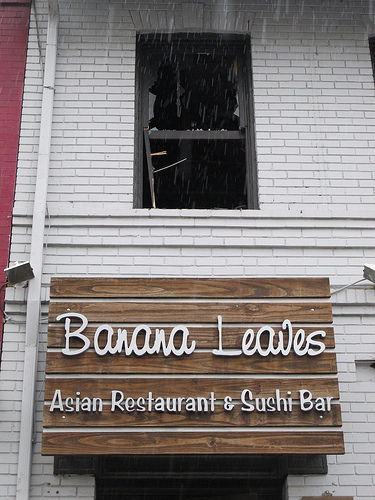 Thanks to all who sent in emails about the very sad news. 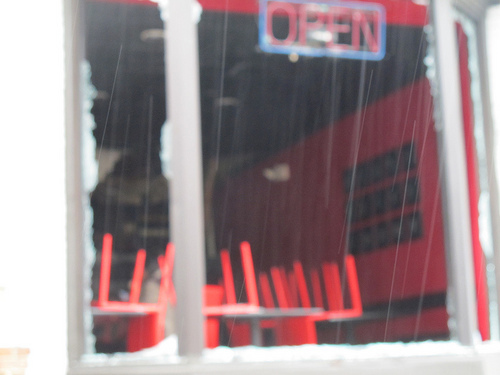 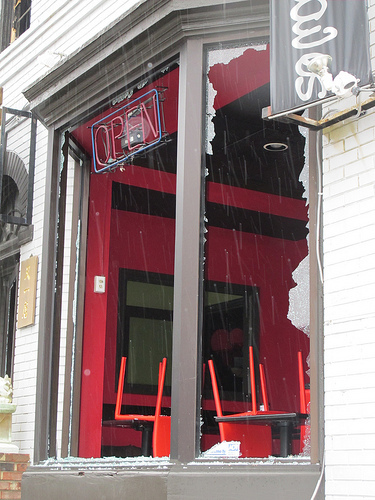 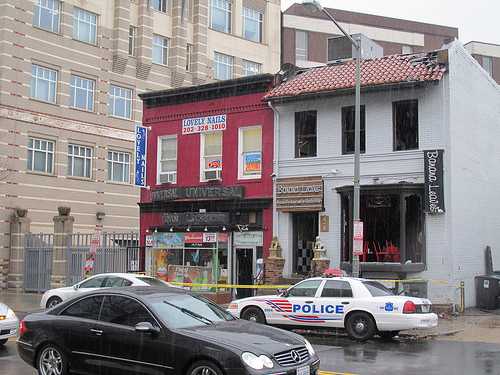 “2020 fla Av NW – 2 sty restaurant; damage-$200K; cause-malf gas water heater; area of origin-2nd fl;no inj; alarms worked. 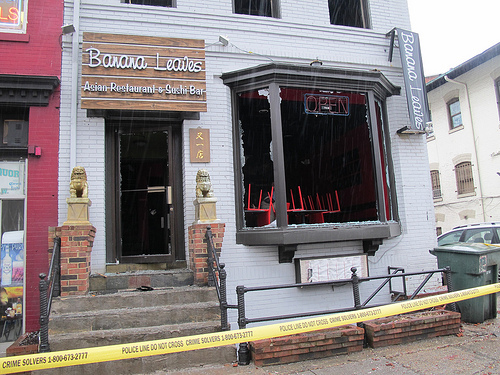 Thankfully nobody was injured but based all the emails I’ve received people are very saddened by this news. 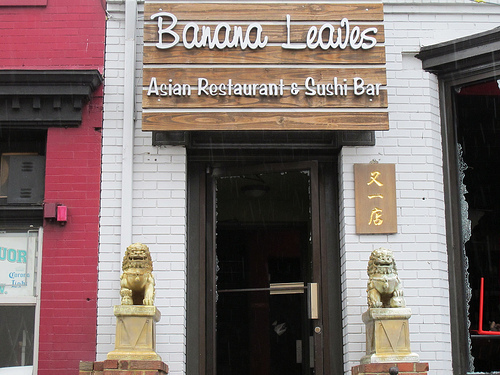 We judged Banana Leaves back in Dec. ’08 to very positive reviews. 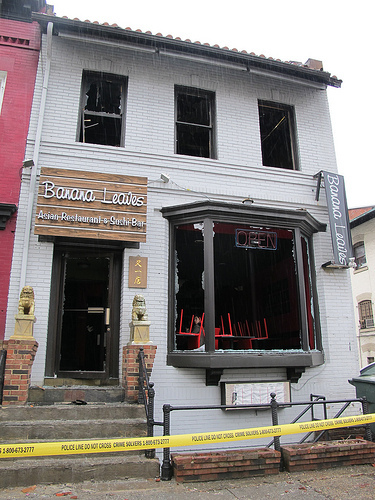 I’ll be sure to update as more info becomes available in general and on a possibly renovation in particular. 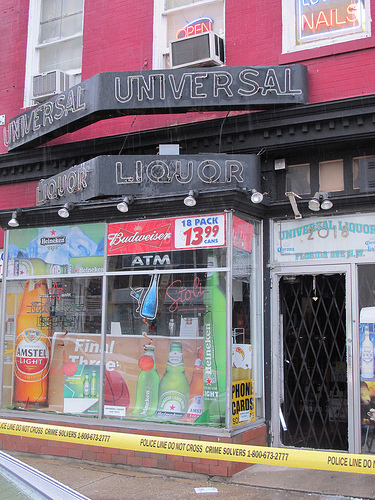 In addition to Banana Leaves, its next door neighbor Universal Liquor remains closed as well.